Combat at the Capitale 37, Sept. 11 - Promoter Lou Neglia has been putting on kickboxing shows for a long, long time, and Combat at the Capitale is his polished affair that goes down in an event space in Chinatown. Reason to go: Aaron Sifflet vs. Brandon Cuttino, which pits a dude made of iron against a TSMMA up-and-comer. 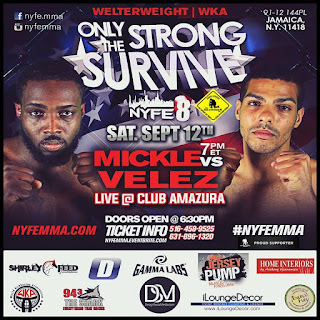 New York Fight Exchange 8, Sept. 12 - Grade "A" amateur MMA will be going down at Club Amazura in Jamaica, Queens, and there are a lot of good fighters on the card. 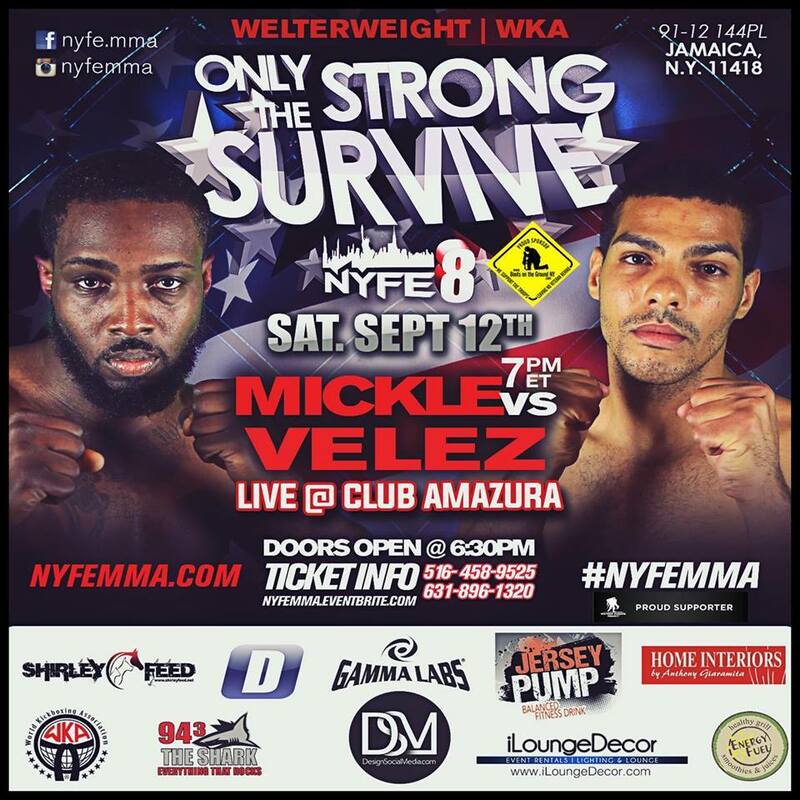 Reason to go: Jerome Mickle vs. Jonathan Velez, which has two former Underground Combat League champs squaring off. Both of these guys throw bombs, so expectations are high in the action department. 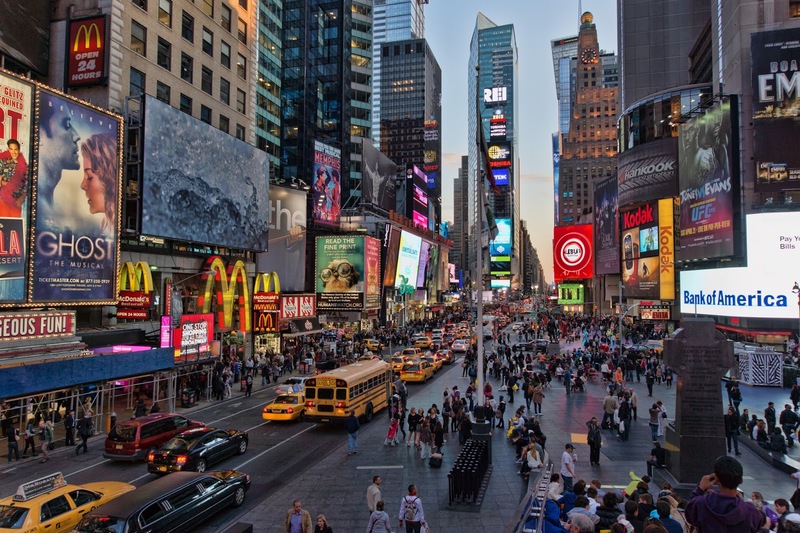 BX Fight Club, Sept. 18 - "We are back starting September 18 we got picked up by a TV network so the production crew will be there, cameras will be rolling come prepared.... DM US FOR MORE INFO". That's from the BX Fight Club Instagram account. 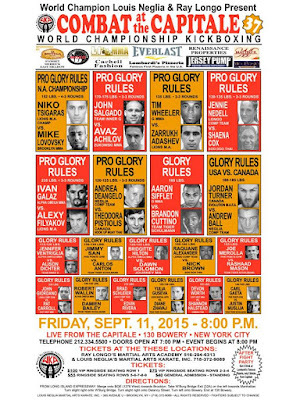 I guess being a wildly unregulated and unsanctioned boxing event has its appeal. Reason to go: Because they're fun. Friday Night Fights, Sept. 25 - The Broad Street Ballroom down by Wall Street will play host to a 155-pound eight-man Muay Thai tournament that will culminate in one night. 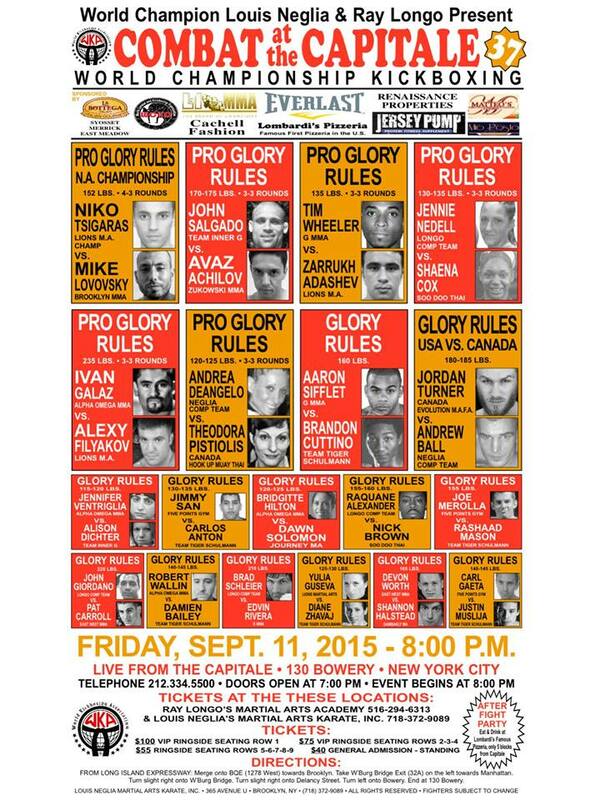 All this is courtesy of Friday Night Fights, which is a pillar of the kickboxing community in New York City. Reason to go: The drama of an elimination tournament. Underground Combat League, Sept. 27 - Hey, remember these guys? 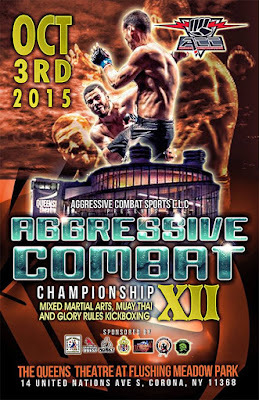 Aggressive Combat Championships 12, Oct. 3 - High-level MMA at the Queens Theater in Flushing Meadows Park. These shows are well-run and enjoyable as hell. 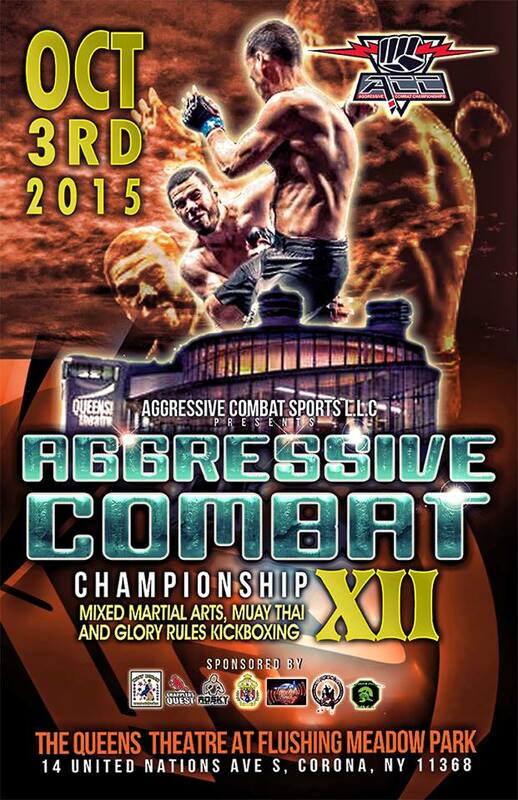 Reason to go: Champ Jillian DeCoursey will be defending her belt. 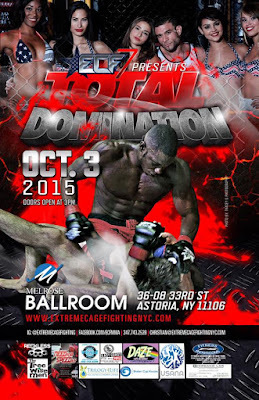 Extreme Cagefighting 7, Oct. 3 - These cards tend to have a little of everything, so if you go, keep that program close by lest you forget who's fighting who under which rules. 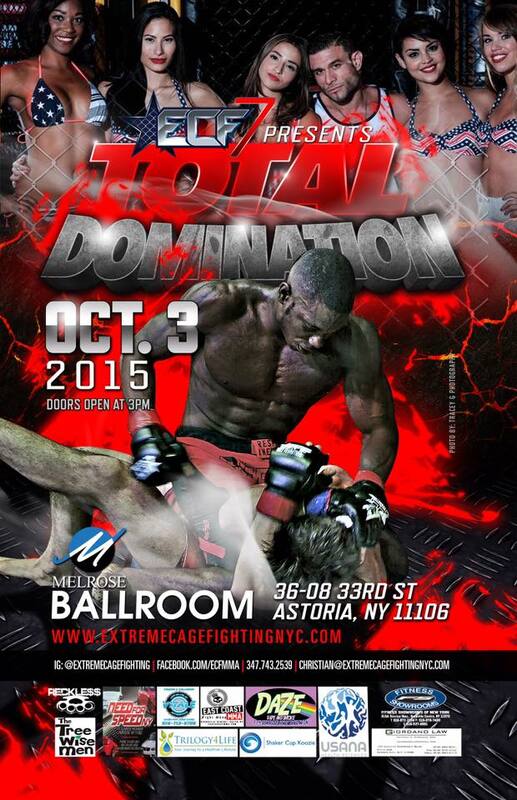 Reason to go: Christian Medina, one of NYC's more promising MMA talents, in a kickboxing bout. 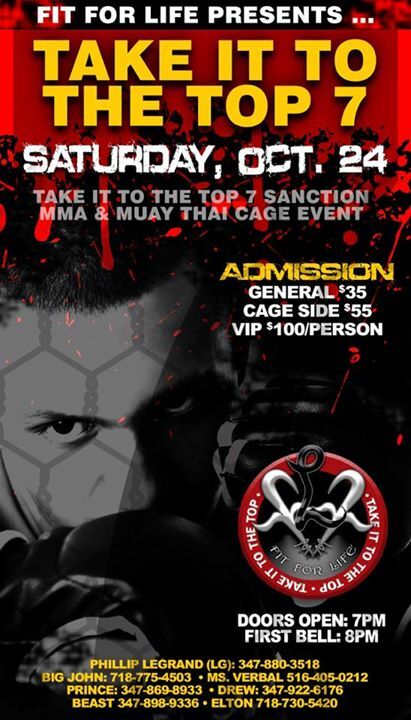 Take It To The Top 7, Oct. 24 - These events take place way out in the furthest reaches of Brooklyn and I have yet to attend one, but Take It To The Top keeps plugging along, and they have as one of their champs the ultra-tough Rashad Clarke, which is a respectable thing to have. 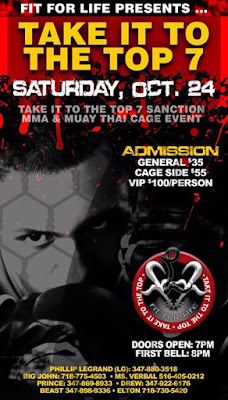 Reason to go: No card has been posted yet, so I don't have any reason to give other than it's fights on a Saturday night. I'd say that's a good reason, no?